At the end of the line. This will then allow you open and edit the table of contents file and manefest should you need to edit these. See the image above right. 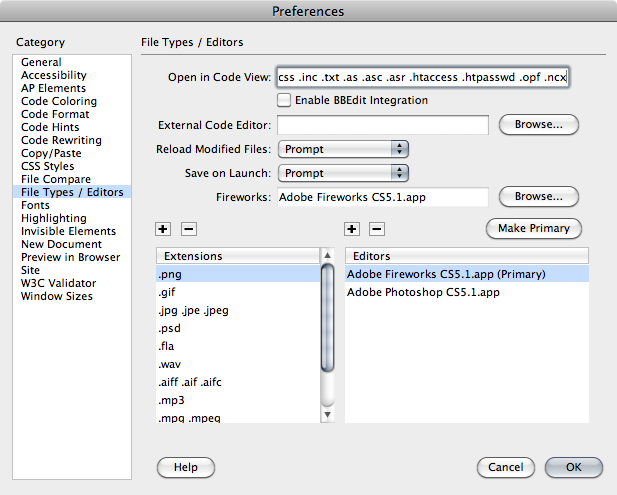 Dreamweaver will not open the ePUB file, so you will need to rename the file with the extension .zip instead of .epub. If you are a Windows user you may need to configure your system to show file extensions, otherwise this is going to be difficult. Use an unZip tool to open the contents of the zip file. And locate the folder that is created. With the knowledge of the wherabouts of the folder created from the zipped file in step 2, open Dreamweaver and create new > site. All you need here is the name of the site and the location on your local computer or drive. It is most convenient if you select the folder inside the unzipped folder; usually named OEBPS. This then becomes the root of your site. You should now be able to edit the template CSS and the individual XHTML documents. 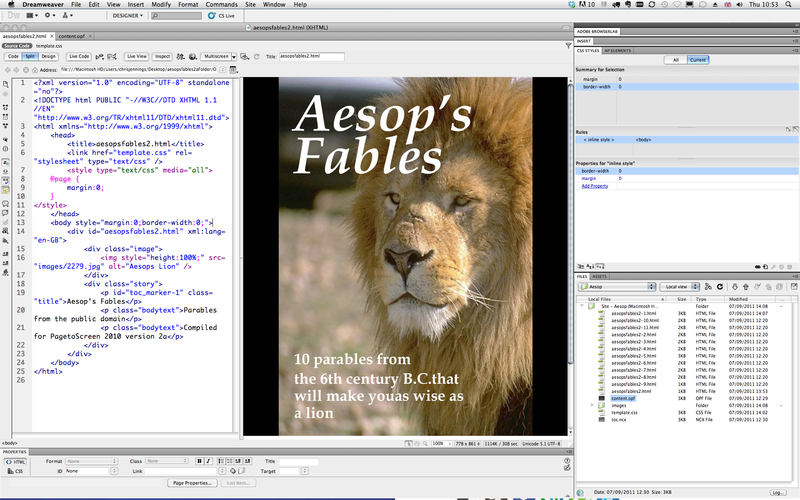 Dreamweaver will show a preview of the XHTML. You can also view (in the code view) the toc.ncx and content.opf files if you have followed step 1 above.. This penultimate step will depend on the platform that you are working on and the tools you have available. On a MAC (my preference) you can grab an Applescript from here that will re-zip the files properly. On the PC/Windows you will need to go here and download this utilty. Once you have re-packed the files, then rename with the .epub extension and test the eBook.